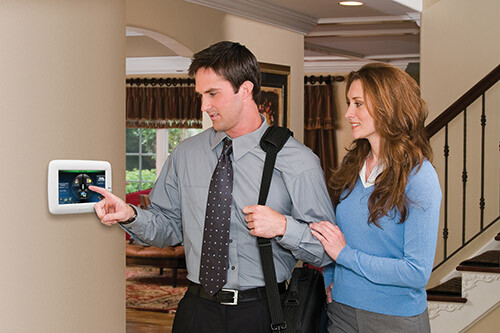 Imagine the peace of mind that comes with a fully integrated state-of-the-art home security system. Monitor unwanted intrusions, smoke and fire, carbon monoxide levels, temperature variations and water leaks, all with a full home control system. More than sounding simple alarms and contacting appropriate authorities, this high-tech security system does so much more: light exit paths when the fire alarm sounds, automatically receive a call at work when your child arrives home, make a vacant home appear occupied, and change your home settings from a remote location with the use of a USB key.